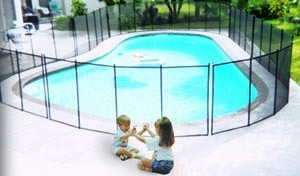 Baby Guard's owners have been in the pool safety business since 1995, and is one of the largest provider of safety pool fences in the United States. Baby Guard also serves The Bahamas, Bolivia, Canada, Ecuador and Puerto Rico. If your question was not answered in this section, please feel free to email or call toll-free at 1-888-919-2229.